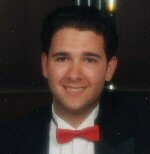 Mr. Scalise is the Accompanist –Music Director for Mass Hysteria and the Lexington Pops Chorus, an organist, and weekly classical piano soloist at various establishments. His solo work can be heard on CD. Mr. Scalise teaches both guitar and piano at the Lexington Music School.